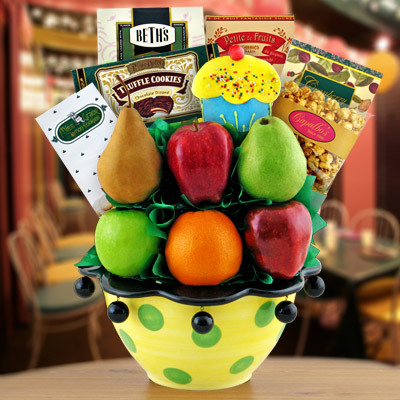 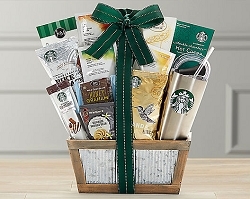 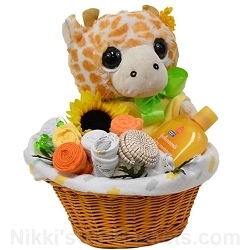 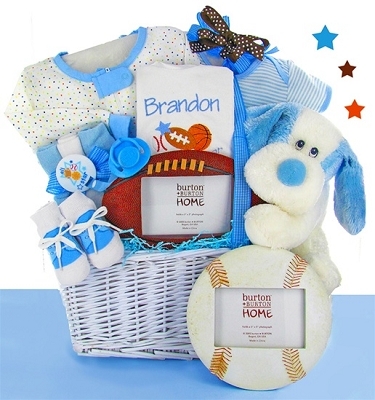 This bereavement basket is a wonderful way to send your sincerest condolences and show your Spanish speaking loved ones you care. 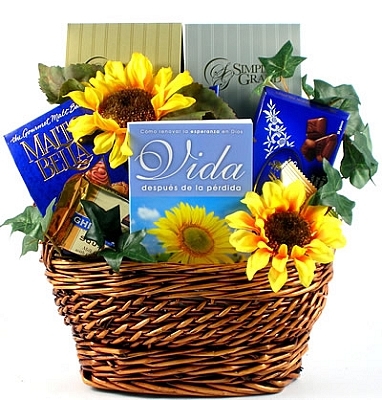 Gift Includes: A touching sympathy book written in Spanish about life after a loss, it also offers a selection of comfort foods, Butter Toffee Handmade Pretzels, Ghirardelli Chocolate, Chocolate Covered Almonds, Dark Chocolate Swiss Truffles, Wafer Finger Cookies, Berries N' Nut Mix, Butter Toffee Peanuts, gourmet Caramel Corn Snack Mix and premium flavored coffee. 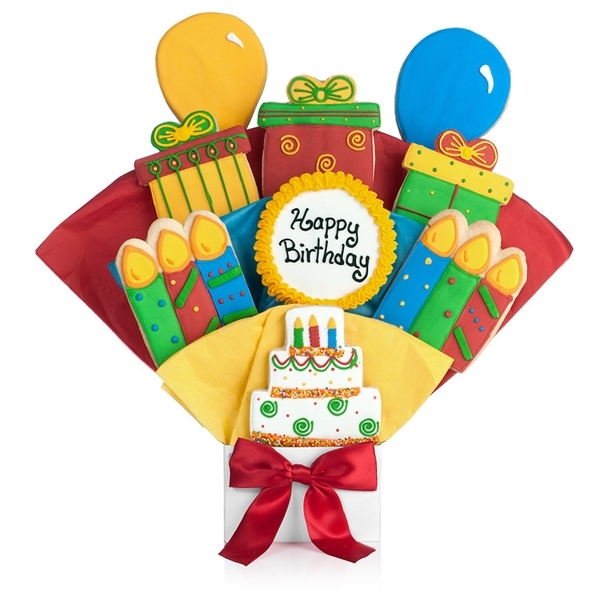 To complete this thoughtful gift a heartwarming book and elegant silk flowers, will truly touch their heart and show how much you care.